They say it isn’t a good idea to mix work and pleasure, but, at least on this occasion, I would beg to differ! The weekend before Thanksgiving we had the pleasure of shooting a few photos for our friends at AmeliaIsland.com while enjoying the day on the island with some old friends. Bryn and I left the kids behind and took a leisurely drive up to Timoti’s Seafood Shack for an early lunch before the B&B Holiday Cookie Tour. 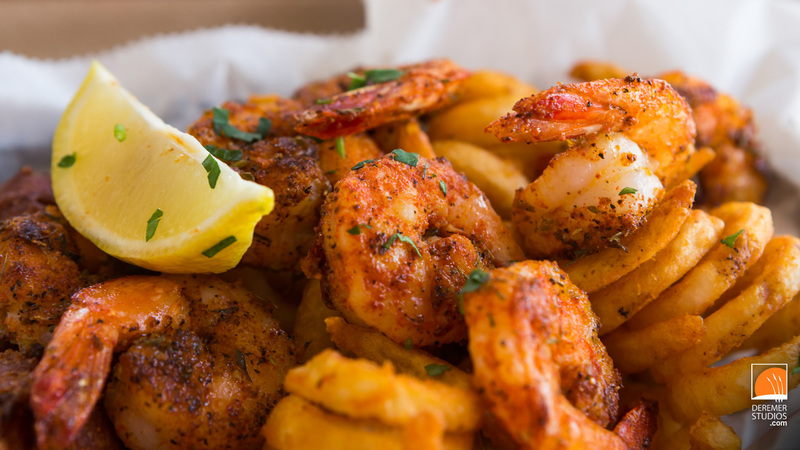 This great little restaurant in Downtown Fernandina always has great seafood (pictured above) and on a bright, sunny, cool autumn day, the outdoor picnic tables offered the perfect setting to enjoy our meal. Shortly after our meal, we met up with Justin and Jill to spend the afternoon exploring several of the great Bed and Breakfasts Amelia Island has to offer. 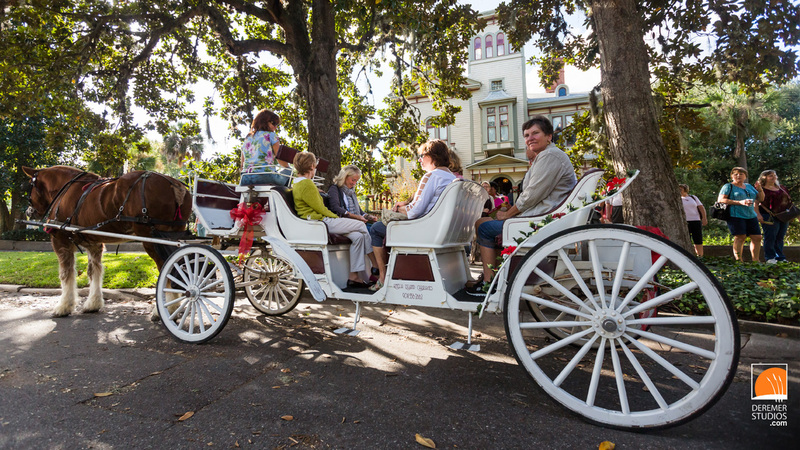 The Amelia Island Holiday Cookie Tour, a much-anticipated annual event on the island, offers guests the opportunity to explore these great old Bed and Breakfasts decked out in all their Christmas splendor. This is the second year we have covered the event (see last year’s highlights here). While touring the B&B’s, we also snapped a few photos of Justin and Jill, who are expecting their first child early next year. All in all, it was a wonderful day full of food, friends and great holiday spirit! As always, feel free to download any or all of the images for use as desktop wallpaper! Enjoy! 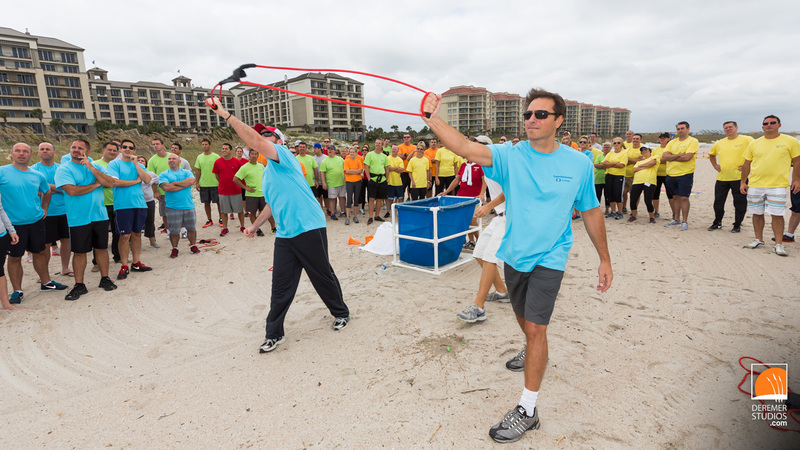 I’ve got one more post for you today – this time a fun (and competitive) corporate event hosted at The Ritz-Carlton, Amelia Island. This energetic group, SuperDimension, spent much of last week enjoying the cool fall weather along the Atlantic coast – including an awesome afternoon of fun-filled challenges on the beach. From an obstacle course and relay race, to memory games and a water balloon contest (above), this was a full-body experience. The afternoon was capped with a team tug of war which the group absolutely loved! A few nights later, the group had their awards dinner – and to be honest, parts of it were absolutely hilarious (intentionally) – with awards for such things as best celebrity lookalike and “you should have known better”. Of course, there were the serious awards too – but the group really did know how to have a good time. As always, feel free to download any or all of the images for use as desktop wallpaper! Enjoy! 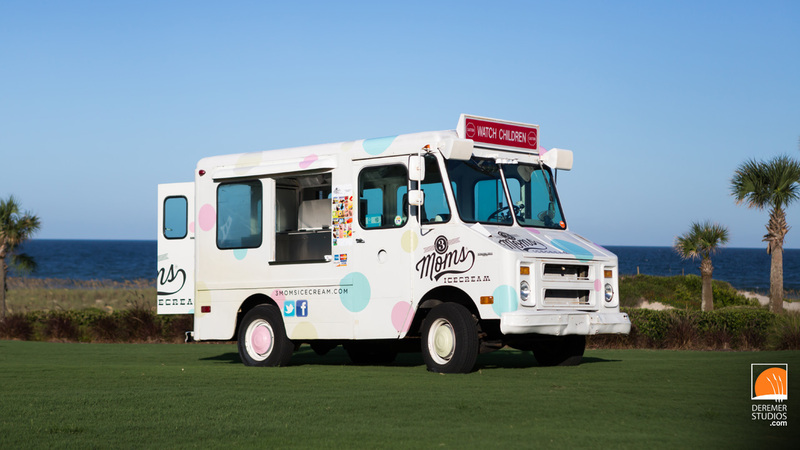 This month, we had the pleasure of shooting two events for Amelia Island. 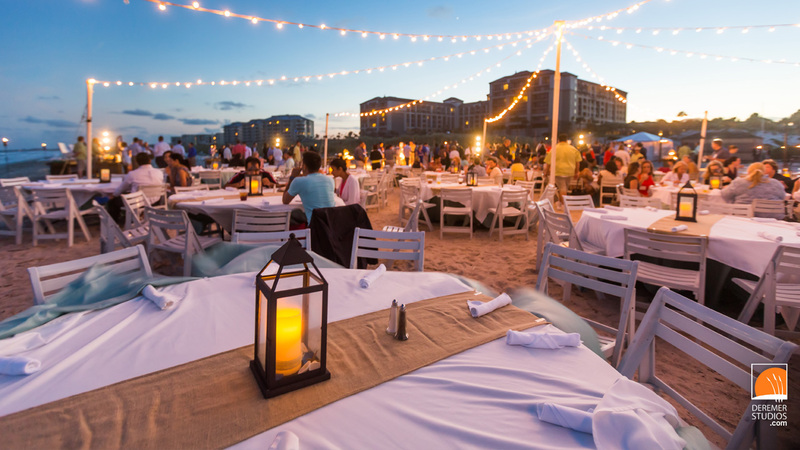 The first, as hinted at above, was of the annual Amelia Island Wine Festival. 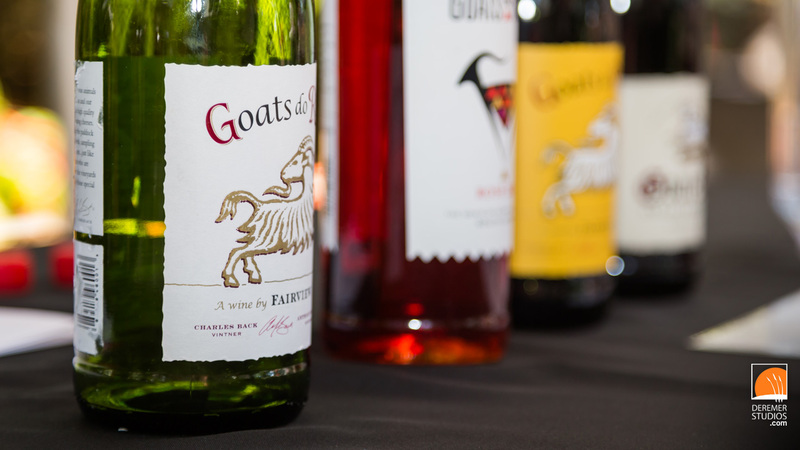 The event boasts a great combination of top-shelf local wineries, as well as other award-winning regional and national vintners. The festival also featured fine cuisine from a variety of local restaurants, including a tasty and creative take on paella from the good folks at Espana. 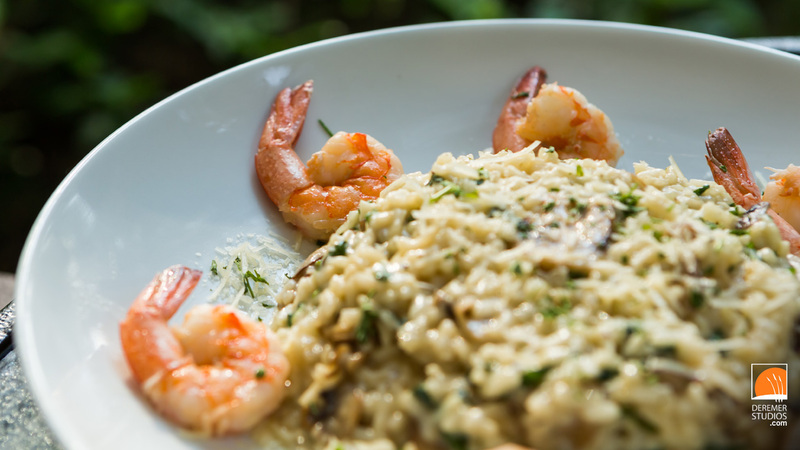 This past Saturday we also had the pleasure of shooting the above wild mushroom and spinach risotto an butter-poached shrimp entree from Bar Zin Bistro and Wine Bar. As always, feel free to download any or all of the images for use as desktop wallpaper! Enjoy! One more post for today – this was a really fun and unique event we had the privilege of covering at The Ritz-Carlton, Amelia Island. 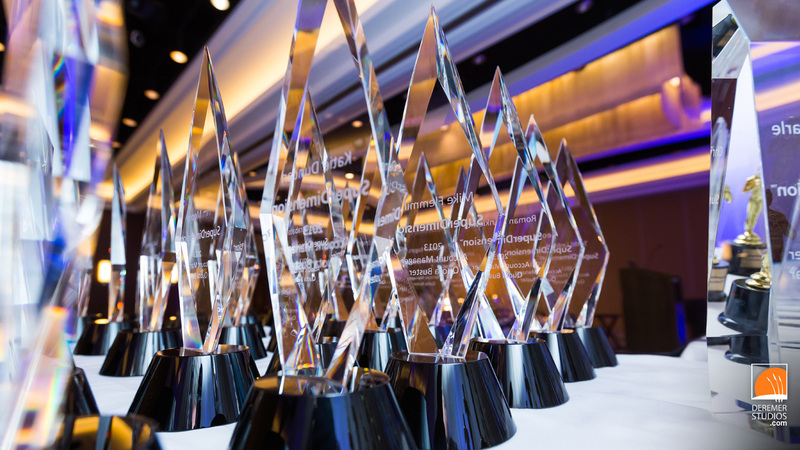 The group, Inovalon, hosted a truly wonderful event at the resort – with lots of innovative ideas that really made the conference a memorable occasion. 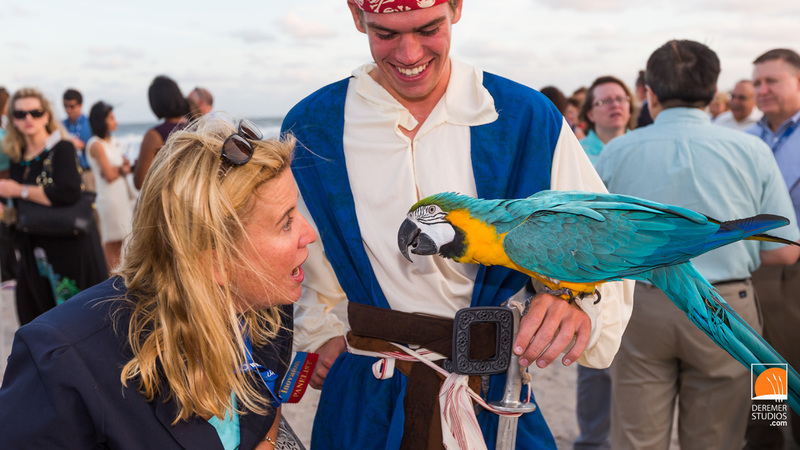 Take, for example, the beachfront dinner – not only did the group have a beautiful location and stunning decor (above), but check out the gallery below to see their custom flip-flops and the guests encounter with the resort’s parrot, Amelia. If you happened upon our previous post, you’ll know we spent a great evening at Fort Clinch as well. Be sure to check out all the fun shots we were able to capture at that great setting. As always, feel free to download any or all of the images for use as desktop wallpaper! Enjoy! This past weekend, we once again had the pleasure of being the official photographer of the Great Southern Tailgate Cookoff. We spent Friday evening and Saturday at the event – enjoying the amazing aroma of the manifold wood smoke and the masterfully crafted meats of the competitors. Add to the cookoff some top-shelf bands, a fun-filled kids zone, and the great sponsors and vendors, and you’ve got yourself quite the weekend! 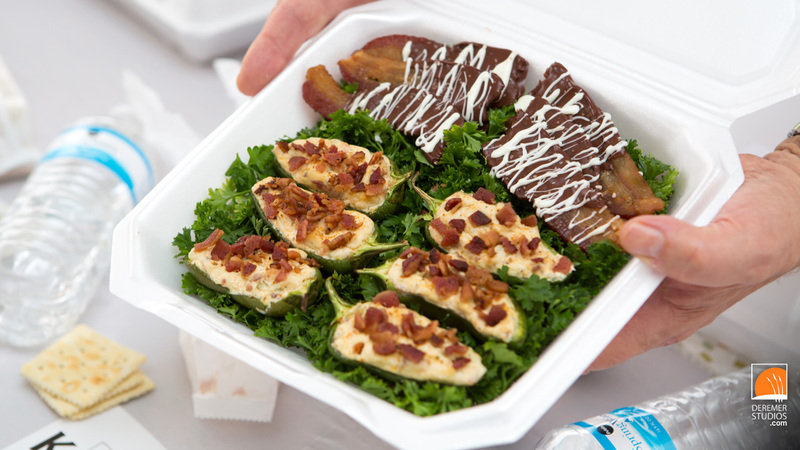 New this year was a bacon competition – which ranged from breakfast-style preparations, to bacon desserts such as doughnuts, brownies and chocolate-dipped bacon (below). All in all, the weekend was an amazing precursor to the great American tradition of tailgating and football! As always, feel free to download any or all of the images for use as desktop wallpaper! Enjoy! 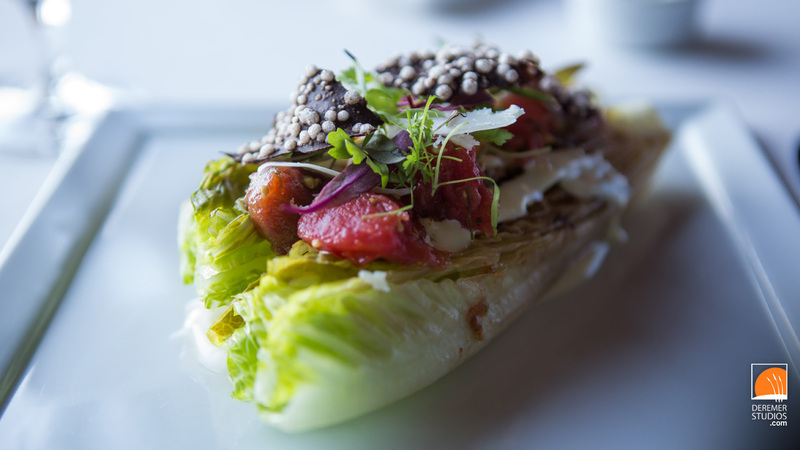 Want to see more of our product and culinary photography? Check out our full portfolio at pro.deremerstudios.com/product_culinary.html! After a wonderful anniversary evening at the acclaimed Salt, it was back to work, serving a great group at The Ritz-Carlton, Amelia Island. 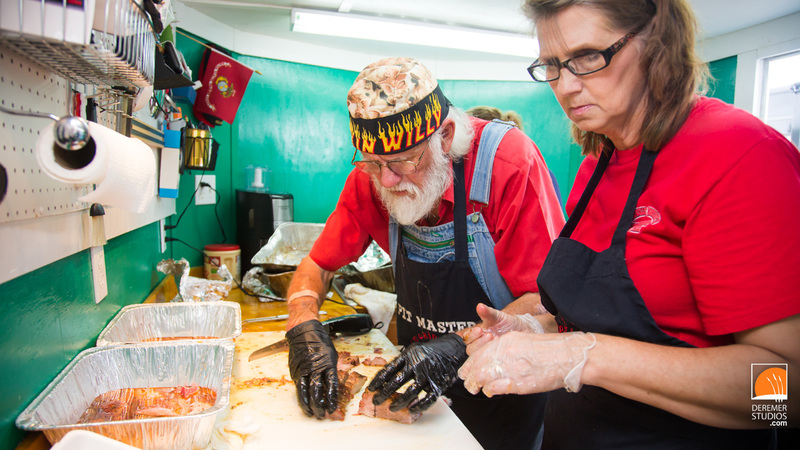 Our two day coverage included a food truck-themed dinner along the stunning Atlantic coast, followed the next day by a great charity function, historic tour and salt infusion lessons. The Ritz-Carlton has always put a high priority on giving back – and this group was no exception. 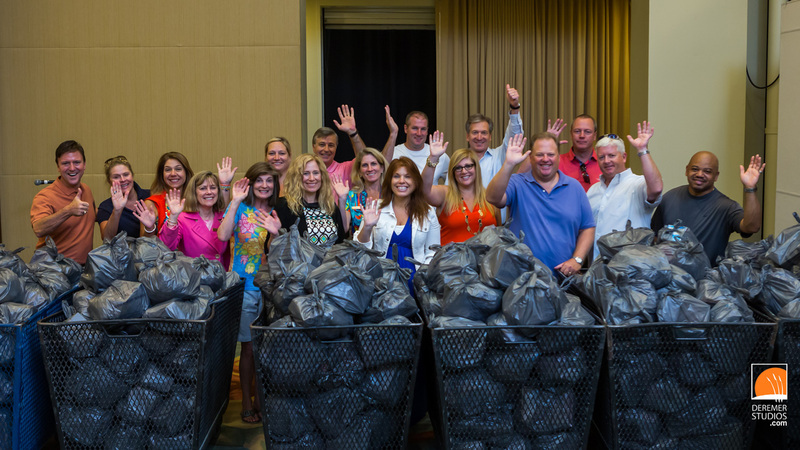 Through the resort’s community footprints program, the group spent the early afternoon putting together 500 dinner kits (above) for the many needy families that call Amelia Island and the surrounding area home. 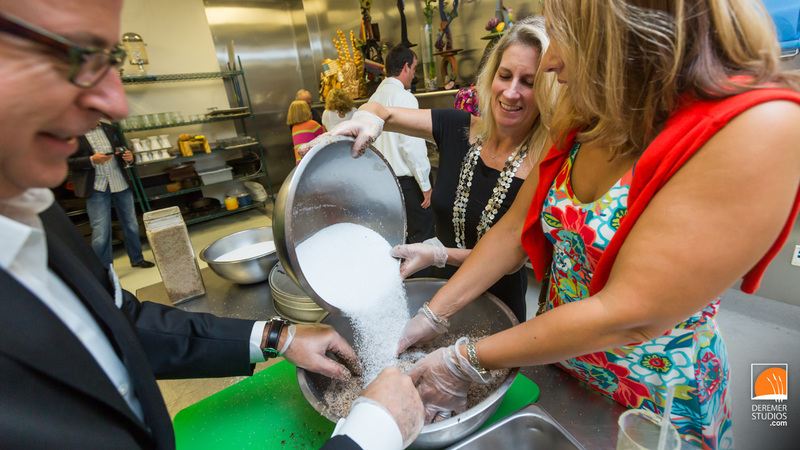 We also had the pleasure of photographing a very unique culinary class for the group – a salt infusion workshop where guests gained hands-on experience in producing some of resort’s signature infused salts. The aroma in the kitchen was amazing! As always, feel free to download any or all of the images for use as desktop wallpaper! Enjoy! One more post today – we had the pleasure of celebrating our 12th wedding anniversary at the AAA Five Diamond restaurant, Salt, at The Ritz-Carlton, Amelia Island – and I am comfortable saying it was the best all around meal I have ever had! 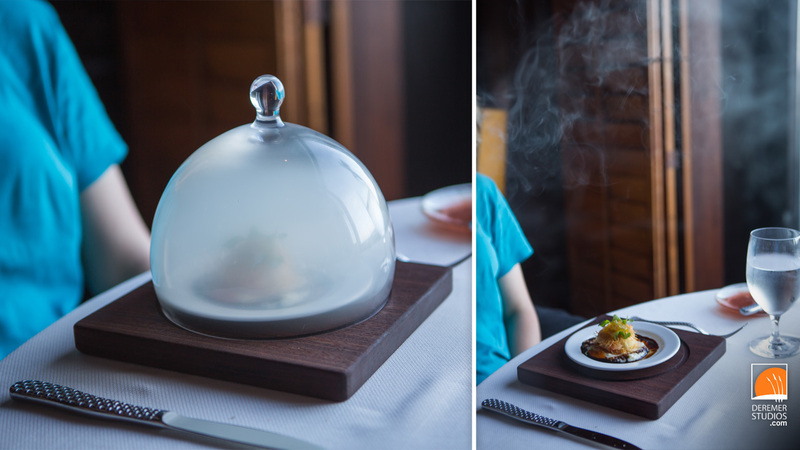 The evening was full of surprises – such as an especially delicious smoked prawn masterpiece compliments of Salt’s Chef de Cuisine, Rick Laughlin (below – note the smoke filled glass dome). To start the evening, we enjoyed artisan breads paired with a selection of exotic and unique salts. For our first course, Bryn enjoyed Grilled Romaine Salad with a Tomato Fondue and I sampled the Chilled Avocado Soup with Australian Crab and Cumin Crisp. The chef treated us to the above second course – a smoked Prawn over Grits with a Balsamic Reduction. For our main course, I enjoyed Beef Tenderloin and Main Lobster, while Bryn had the Diver Scallops with White Asparagus Risotto and and English Pea Broth. And, to finish our evening, we each had a Souffle – Bryn’s was Dark Chocolate with Salted Carmel Ice Cream and White Chocolate Cream Anglaise, while mine was and Orange Grand Marnier Souffle with Orange Rosemary Ice Cream and Grand Marnier Anglaise. The meal was amazing!